Who is ready to plant spring flowers? I am – all you see around here is brown and white (snow). I am ready for some color! 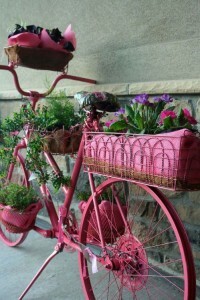 I am definitely looking for a bike to plant at the store this spring!